So it's been a bit too long since i've done another installment in this series. I started out using some races as inspiration. Though i'm not leaving that completely, I did want to go in another direction for a bit. So, I decided to try some looks based on some of the Holds. First up is my personal favorite, Winterhold. 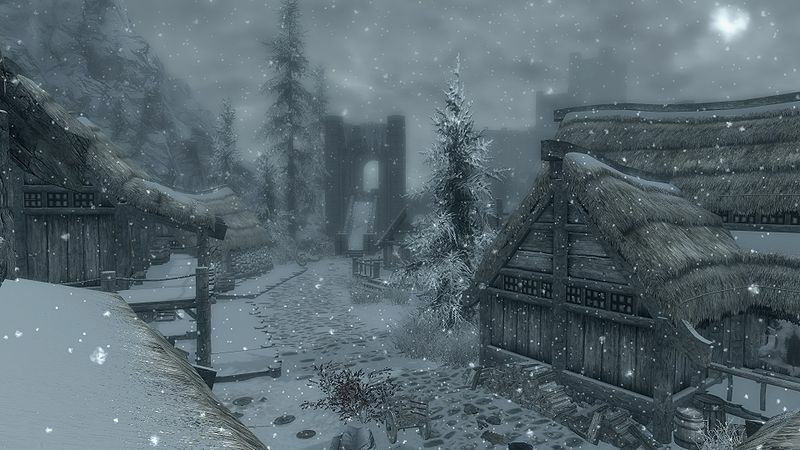 It houses few inhabitants now (aside from the College of Winterhold) after a disastrous event some years ago. but I (truly shockingly) kind of liked it when I was done. but hey, live a little. I wanted to branch out a bit here. Lawl at the eyebrows by the way; that turned out nothing like I'd planned. I'm stoked to do some more Holds. If you have any suggestions or requests for this series- let me know!! I really love this! I think it goes perfectly with Winterhold! The white lines almost look like something magical, like runes. Quite befitting for the hold with the College! thanks very much, lady!! I would like to go more editorial, but for some more full coverage face looks, I fee like I need either different makeup or to learn more about how to use what I have all over my face. 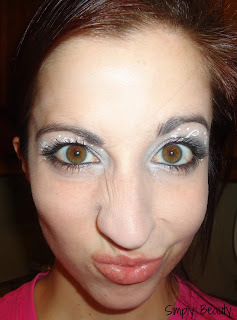 I'll def look up that youtube chick, good suggetsion. this is so beautiful! i really love the silveriness and i like the snowy winds too!